This dress delivers the MAXI-mum slay girl! 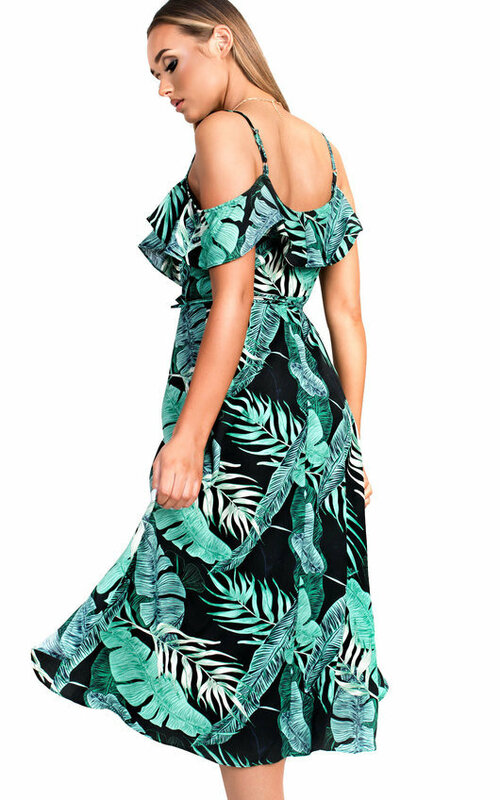 This dress features Summer perfect soft light material, tie wrap design, adjustable straps, frilled hemline and super cute all over tropical pattern. Pair with our CORA heels for that perfect beach evening get up!